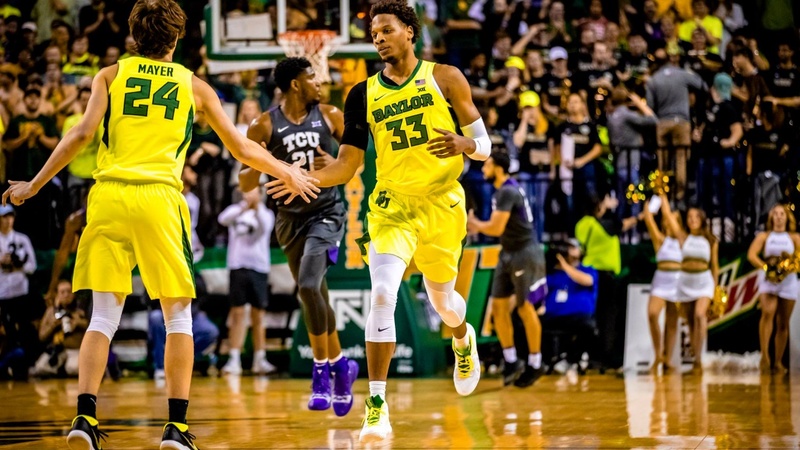 Baylor (15-8; 6-4) falls to KSU (18-5; 8-2) in Waco, Texas. The Bears were short handed after it was announced pre-game that Makai Mason and King McClure would not be able to play. Down 4 of their best players (Lindsey, Clark, Mason, McClure), the Bears fought hard to win against an experienced, good Kansas State team that has rattled off 8 straight Big12 wins. The Bears led by 6 at the 10 minute mark in the second half, but the Wildcats experience shined down the stretch with a 29-16 run. Freddie Gillespie is going to help Baylor win a championship next year. A conference championship and maybe in the hunt for a national championship as well. That guy is getting better and better each game. He scored 13 points; had 9 rebounds and 2 blocks. Missing two front ends of 1 and 1s were the only flaw tonight. Great job scoring inside the arc (19-32) and also protecting the rim (7 blocks). The main problem was KSU getting 15 free throw attempts in the second half and hitting 50% of their 3 point attempts after halftime. Valuable experience for Bandoo, Butler, Mayer, Thamba. Shout out to Okeke for giving Baylor good guard depth as well. This team plays HARD. Ray Natali- SMH. He was TERRIBLE. Worst whistle for a non Kansas game in Waco that I can remember. I won’t recount the absurd calls that he made. It didn’t lose Baylor the game, but it in no way helped for a favorable Baylor outcome either. Free throw shooting. Freddie missed two front ends of one and ones. That didn’t help Baylor’s chances of winning this game. 3 point shooting (6-24) was off. Not shocking given the loss of Mason and McClure but didn’t help Baylor’s cause.